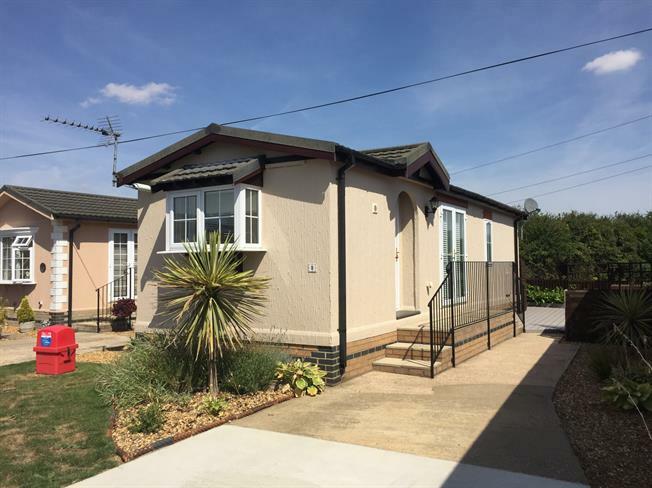 1 Bedroom Mobile Home For Sale in Cambridge for Offers Over £80,000. A recently decorated one bedroom park home in Longstanton. The property includes an entrance hall, leading on to a kitchen/breakfast room with plenty of storage cupboards and breakfast bar. The lounge also leads off the entrance hall with double doors opening onto the garden. The bathroom is just off the rear hallway as well as a double bedroom with fitted mirrored wardrobes. Outside the garden has decking and a storage shed, along with views across a paddock. The property comes with driveway parking.